Gray wolves are in the crosshairs of a heated conservation debate, with the federal government trying to strip all protections for them in the continental U.S. Dr. Fred Koontz, vice president of field conservation at Woodland Park Zoo, Seattle, has worked in conservation for three decades and has studied the wolf issue. We talked with Dr. Koontz about the future of wolves in the U.S. and the role they play in maintaining healthy ecosystems. Wolves may be the most polarizing animal in North America, more so than other large carnivores like cougars or grizzly bears. Why? The gray wolf is one of the world’s most adaptable and widely distributed mammals, ranging over much of Asia, Europe, and North America. Wolves, the size of a German shepherd, are pack-hunting predators that sometimes kill livestock. Combined with wolves’ nocturnal behavior and haunting howling, this has resulted in a long history of conflict with people, especially as human numbers have increased exponentially in recent centuries and agricultural lands expanded into wolf habitat. There are, however, very few documented cases of wolves attacking people, but the rare times it’s happened it’s been sensationalized and blown out of proportion. How have your perceptions or understanding of wolves changed over the years? At an early age, my mother read with much theatrical expression “Little Red Riding Hood,” which, like many children, left me fearing the “big bad wolf.” This negative image was reinforced with similar wolf-themed horror movies that I ashamedly spent far too much time watching in my youth. Only when I studied ecology and animal behavior in college and as a wildlife professional did I see a different image of the wolf. Wolves are important regulators of prey numbers and behavior, and as such, influence a web of ecological interactions that enrich biological diversity. I learned also that among many adaptive traits enabling their evolutionary success, wolves have a rich social life and extraordinary set of communication behaviors. The more I learned, the more fascinated I became in understanding how wolves and people might live together for their mutual benefit. Gray wolves have been taken off the federal endangered species list in some states, such as Idaho, Wyoming, and Montana. And a recent federal proposal would strip all gray wolves in the continental U.S. of their federal protection. How did this come to be? What kind of politics are at play? 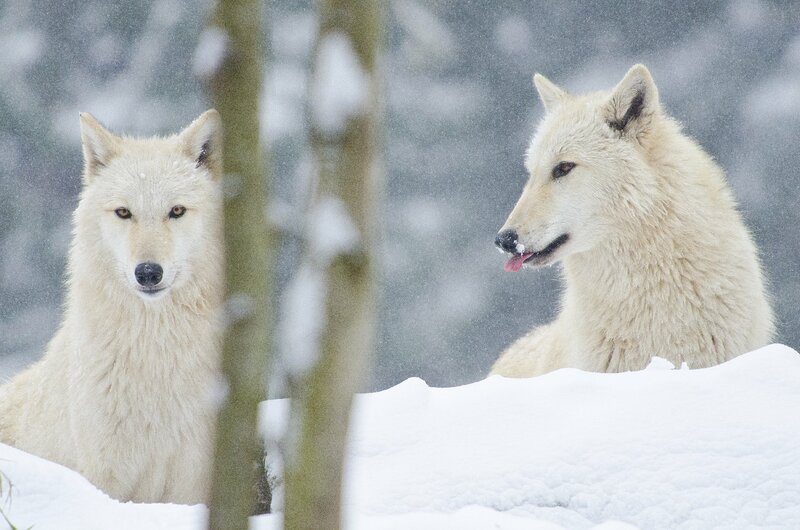 Gray wolves can come in an assortment of colors, such as these all-white wolves. Photo courtesy of Ryan Hawk, Woodland Park Zoo, Seattle. Under the Endangered Species Act, the U.S. Fish and Wildlife Service (USFWS) in 1974 first listed gray wolves as endangered in the lower 48 states. Now they propose to remove them from the ESA list. This idea follows from three decades of actions undertaken by federal, state, and local partners that resulted in population recovery and delisting in 2011 of wolves living in the western Great Lakes states and northern Rockies. With about 6,000 wolves residing in these two recovery areas, USFWS believes that the gray wolf population in general is well established and stable enough to warrant delisting. Many state wildlife officials welcome the move as they are eager to take back the management authority for animals within their political borders. However, many conservation scientists and wolf advocates believe that more time on the endangered species list — and [under] federal protection — would allow wolves a greater opportunity to reclaim more of their former territory and grow the number of their populations. This is important because, despite wolf recovery success in the Great Lakes states and Rocky Mountains, there is still a lot of their former range not yet occupied. Expanded range and more populations, in turn, will provide greater species resiliency to unexpected environmental disruptions like climate change and emerging diseases and also improve long-term wolf survival in the U.S.
An independent review panel recently found that the federal government used uncertain science when it proposed removing the gray wolf from the endangered species list across the lower 48 states. What could that mean for the future of wolves? In the long run, the debate about delisting wolves invites larger questions like, what constitutes full recovery of any endangered species, and does the legal framework of the ESA reflect current conservation science and principles of sustainable living? Most importantly, there needs to be agreement at the onset about the ultimate purpose of recovery — is it simply species survival or restoring ecological function? There are no easy answers. Mule Deer photo courtesy of Lauren Sobkoviak. Is it possible for wolves and humans to coexist? What needs to change for that to happen? I think that wolves and humans ultimately will coexist by sharing land in two key places — protected areas and rural areas managed for the benefit of people and wildlife, for example, park buffer lands, multiple-use public lands, and designated wildlife corridors. For the reconciliation between wolves and humans to prove fully successful, we will first need a broader understanding of the role that apex predators play in creating healthy ecosystems and why healthy ecosystems are needed by people. In other words, there must be a broader understanding of why saving wolves is essential to sustainable living. Greater public will to save wolves will result in increased public spending needed to conduct science and carry out sound management actions. For example, we need more research on improving ranching practices to minimize wolf predation of livestock, and insurance programs that compensate ranchers for unavoidable losses. There is already good evidence from pilot efforts that such research and management programs are possible — and that they work! Why should people care about the fate of wolves? The fate of wolves is tied directly to the greatest challenge facing humankind this century — sustainable living! With more than seven billion people consuming resources at an accelerating pace, this generation of world citizens must transform our societies to sustainable ones. We must, among other things, protect a wide variety of animal and plant species — scientists call this “biodiversity.” Many conservation scientists believe that apex predators (animals at the top of the food chain), like wolves, are necessary to maintain habitats rich in life. In turn, high levels of biodiversity bring many direct benefits to people — everything from providing food and fiber to protecting water supplies and enriching recreation. 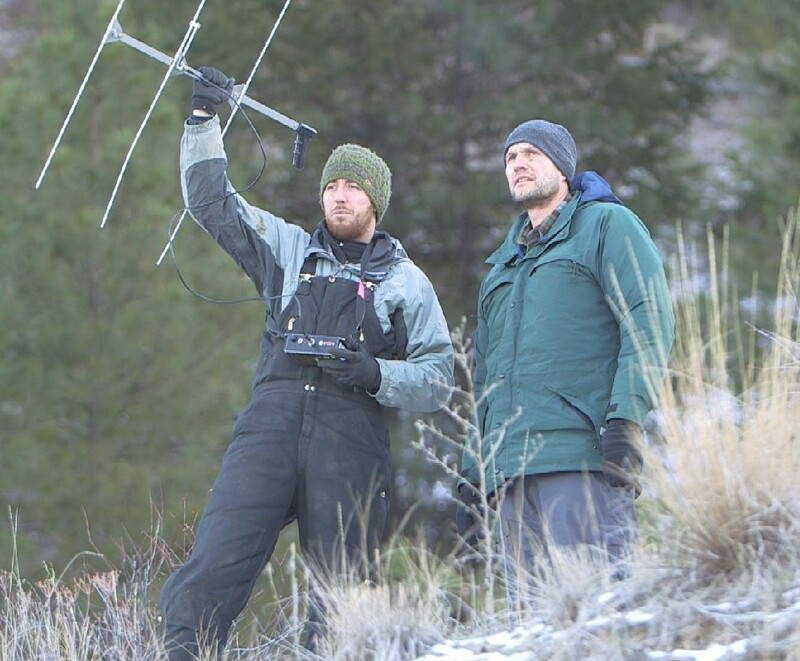 Biologist Aaron Wirsing for the University of Washington (right) and graduate student Justin Dellinger (left) radio collar deer with video cameras in order to better understand predator-prey dynamics. Photo courtesy of Greg Davis. Understanding the links between apex predators and biodiversity is a growing area of research for scientists like Aaron Wirsing of the University of Washington. Since 2008, wolves have been returning to Washington and have reestablished populations in the U.S. northern Rockies. This has provided a unique research opportunity for Wirsing and other scientists. 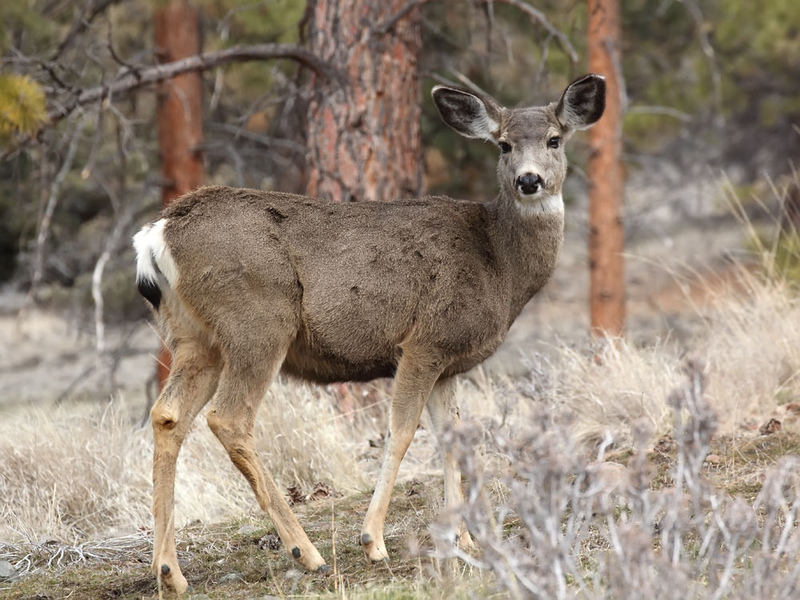 For example, deer populations in Washington have likely over-browsed plants for decades in the absence of gray wolves. One consequence of deer eating trees along streambeds is less habitat for birds, and streams that are more likely to harbor fewer cold-water fish like trout because they are filled with sediments from soil erosion and overheated because of lack of shade. With wolves back in the state, Wirsing is leading a study to document how wolves are changing mule and white-tail deer populations, which in turn affects forest landscapes. Why do you care about wolves? I care about wolves because as apex predators they contribute significantly to enriching biodiversity needed by people for sustainable living. I also care about wolves because I admire them! Wolves are amazing for many reasons, but I am especially fascinated by their complex social behavior and adaptable lifestyles, two traits that they share with humans. Also, one of the most important reasons I care is that wild wolves in the U.S. are a symbolic way of keeping our American heritage of wilderness alive. What a wonderful video. The music is incredible and the deer cam – so cool. It’s really interesting that our attitudes toward top predators are starting to shift. Now wolves’ biggest predator is us. It’s not just deer that thrive in the absence of apex predators like wolves. Meso-predators, like coyotes, also thrive in their absence. In my home metro area of Detroit, we’ve had numerous coyote attacks on people’s pets and deer running all over the place. I was almost in a car accident with a doe a few years ago. Too bad wolves aren’t adaptable to more urban settings. We could sure use some help keeping the deer and coyote numbers in check that doesn’t risk accidentally blowing someone’s brains out. Michael Werner is an award-winning independent filmmaker, photographer and writer. His work has been featured in/by: The PBS NewsHour, HBO Films, The Associated Press, Earthfix, Oregon Field Guide, KCTS-9 Seattle, Voice of America TV, The World Channel, the U.S. Olympic Committee and the Cannes International Film Festival. 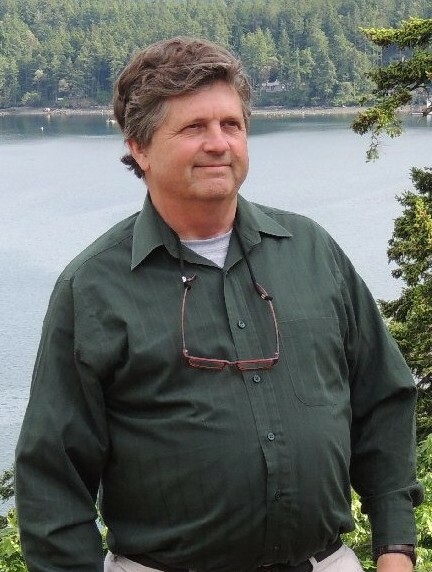 In addition he is a former faculty member at the University of Oregon School of Journalism and holds a master’s degree in narrative journalism. In 2010 he spent five weeks exploring the Democratic Republic of the Congo for a documentary project and developed an appreciation for the taste of curried caterpillars.